When someone mentions classy meals and expensive wines, most people imagine a five star restaurant. But that’s not the only place you can find top of the line meals, as there is one spot you would probably least expect to find such delicacies. Most of us know what airline food is like. If you’re lucky you’ll get something that looks edible enough for you to consume it. Only thing is, this is true for economy class only. Business or first class offer a completely different experience. See for yourself. 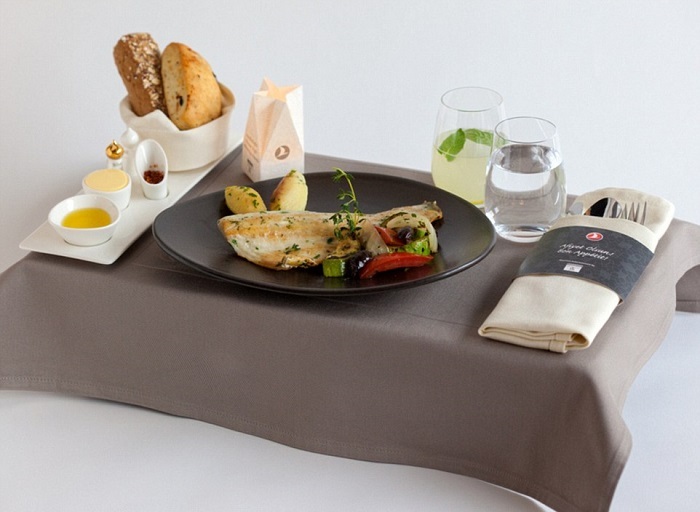 Turkish Airlines currently holds on of the top places on any list when it comes to food they serve, no matter which class you choose. This fish with roasted vegetables is just one example of what you can expect to find in first class.